A biofuels company on Teesside has pledged to spend £6m on ridding its plant of a bad smell which has sparked complaints from residents. 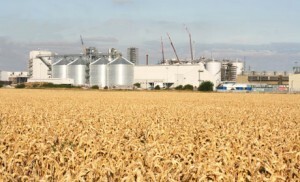 Ensus opened its bioethanol plant at Wilton in 2009. But since March 2010 residents have complained of a brewery-like smell coming from the facility. Managers have admitted there is a problem and plan to install £6m equipment to ease the situation. The Environment Agency is now considering the firm’s proposals. Ensus plans to install a series of thermal oxidisers which it says will go some way to eliminating the odour, which is produced when the plant converts wheat into fuel that can then be mixed with petrol. By-products are then used to produce animal feed and carbon dioxide for the soft drinks industry. An Environment Agency spokesman said: “Smells from Ensus have been reported to us since March 2010. “In September 2010, following enforcement action from the agency, Ensus announced it would be spending £6m on regenerative thermal oxidisers to minimise smells. “Before this can happen, Ensus must apply to the Environment Agency to change its environmental permit. The consultation period will end on 17 February.